The Urban Land Institute (ULI), is a worldwide organization that represents the entire spectrum of land use and real estate development. As a multidisciplinary real estate forum, ULI facilitates an open exchange of ideas, information, and experience among industry leaders and policy makers dedicated to creating better places. One Canal Place,365 Canal Street, 4th floor conference room | 8 – 9 AM | $15 Members Only – members can bring one guest. Justin Augustine is the Chief Executive Officer of the New Orleans Regional Transit Authority as well as a Vice President of Veolia Transportation. Mr. Augustine is a professional in management and finance with over 28 years of experience in the fields of Transportation Management and Finance/Accounting. Augustine has managed numerous multi-modal transit agencies including Capital Metro in Austin, Texas, The Africa Transportation Company in Johannesburg, South Africa and Regional Transit Authority/Transit Management of Southeastern Louisiana, Inc in New Orleans, Louisiana, and many transit agencies in California including: San Diego Transit, Santa Clarita, San Francisco, Oakland Transit, Napa Valley, Sonoma County Transit, Los Angeles, Beverly Hills, San Jose, Redding, Chico, Victor Valley, Antelope Valley, and Yolo County Transportation. He has also managed other transit agencies in Phoenix, Arizona, Seattle, Washington and Dallas, Texas. 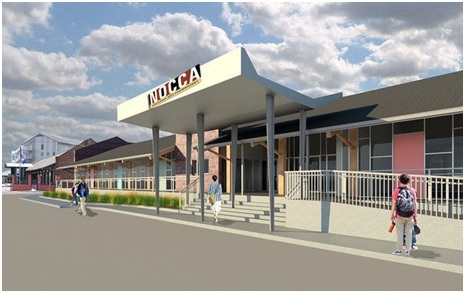 The NOCCA Forum project, located across Chartres from the current NOCCA Campus, is a nineteenth-century warehouse currently being rehabilitated into classrooms, teaching kitchens, an auditorium, and café space, for the NOCCA School. Utilizing historic and new market tax credits and QZAB bonds, the building will serve as space as the school implements its full-day curriculum. The project will be part of the larger NOCCA Gateway Project which will ultimately include food truck space, a museum, and other amenities. Event attendees will be guided on a hard hat tour of the building while it is under constructions, then the tour will be followed by a short presentation and question and answer session by members of the development team. Participants will learn from experienced developers about the advantages and challenges of historic rehabilitation, non-traditional financing, and sustainability.